Dum style, I am a fan ever since I have tried this method of cooking. The succulent pieces of meat just fall off the bone with the slightest of touches, sometimes even without. Dum style of cooking incorporates flavors like none other, even though there is no major stirring or sautéing involved. The ingredients get cooked in their own juices and owing to the dough seal that is applied to close the cooking pan, not even an iota of flavor escapes. 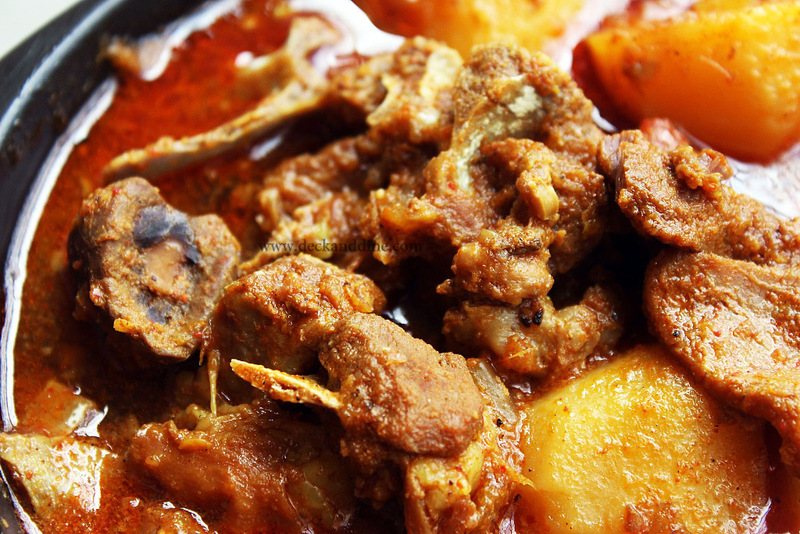 The result is a full bodied dish that tangles even the smallest of your taste buds.. 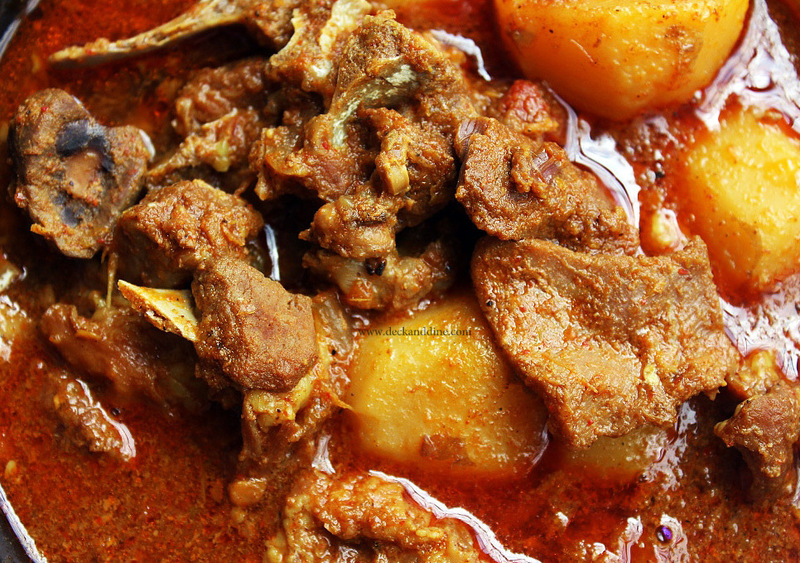 So without further adieu, presenting Dum Mutton…and today’s specialty is..NO OIL. Yes, you read it right. Onion, Raw Papaya, Ginger, Garlic, Green chili made into a paste. This should be given to the laziest person in the house, because it is just four steps. Clean the meat pieces and drain off excess water. Add curd, raw papaya-onion-ginger-garlic-green chili paste, turmeric powder, chili powder, cumin powder and salt. Mix well and refrigerate for about 1 hour. You can keep it overnight as well. If you choose to keep it overnight, it is advisable not to add the papaya paste while marinating. Since papaya is a wonderful meat tenderizer, adding it into the marinade and keeping it overnight might over tenderize the meat; so I prefer adding it 3-4 hours prior to cooking. Put a wok on medium flame for about 30 seconds, Add the marinated mutton, turn up the flame to medium high, stir through, cover and cook for about 5-7 minutes. Take off the lid, stir through; add potatoes and a cup or two of water if you want gravy. Cover again. Seal the lid with some dough and cook on simmering flame for about 40 minutes to an hour. Turn off the flame and let it rest for about 5 minutes, if you can resist. Now take the dough seal apart, be careful of the escaping steam, sprinkle garam masala powder, black pepper powder and dive right in. This looks so delicious, I am definitely going to bookmark this one for next weekend. It looks yumm and thanks for sharing such a detailed post it will easier to try at home now. I dont eat Mutton but love that you now share recipes too. Looks yummy! I will try it out!